What kind of morning rituals do you have on the weekends? In this post I will share mine. I try to follow a consistent sleep schedule in which I try to go to bed at 10 pm at the latest on the weekends and wake up at 7.30 at the latest. Having said this, if I stay up later than 10 pm I don't stress about it. But if I have a "normal" weekend at home this is what I usually do..I have found a lot of positive things about waking up early. Previously I wrote about how waking up early made me more productive and how to become a morning person. I encourage you to try this! After I have woken up, I drink a glass of room temperature water which I have left in my toilet the previous night. Then it's time to move my body. This part of my morning is the best part which encourages me to wake up early. My morning movements depend on how I feel in that morning. Sometimes I go for a short walk or run just to get some fresh air and wake up my body. In my opinion there is nothing like fresh air to make you fully awake! Then I do a bit of yoga, such as Yin Yoga or Hatha Yoga or I do my own mix of yoga. My morning movements are gentle and the point is to remove the night time stiffness from my body. After my morning "workout" I do oil pulling. I take one tbsp of coconut oil into my mouth and I swish the oil around in my mouth for about 10 minutes. 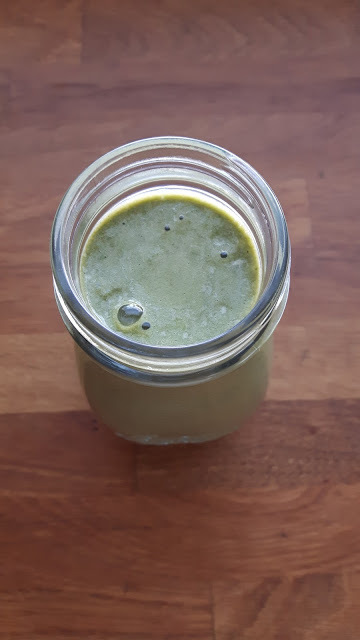 Then I drink a glass of green juice. 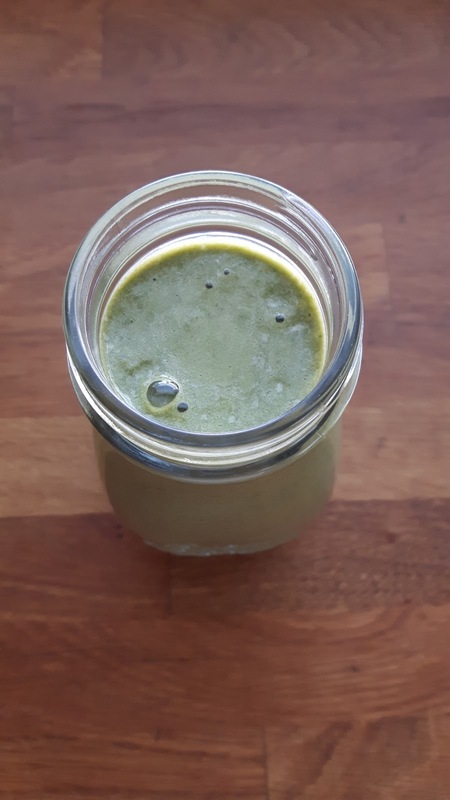 This I make by mixing half a lemon and green powder. I use Puhdistamo*. 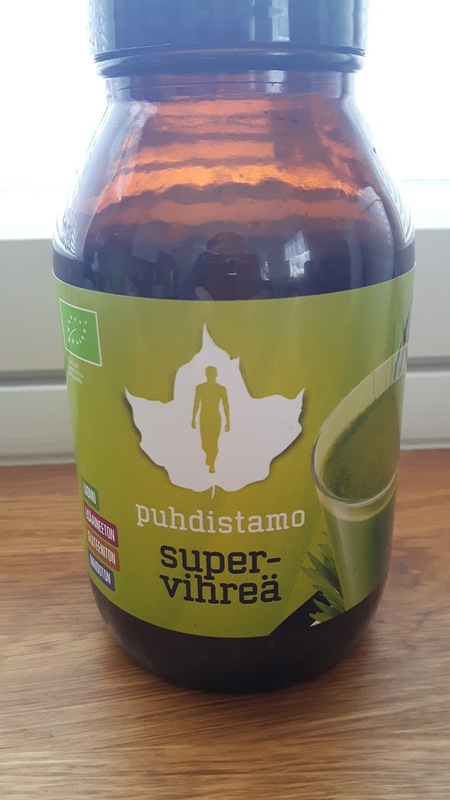 I have to admit that this does not taste that good but I do it for the health benefits 😄 After drinking this I already feel freshed up and healthy as a horse 😇 Before when I didn't I drink this green juice, I took Green superfood * capsules. The reason why I switched to juice is that I don't want to take extra pills to strain my gut, digestive system and liver. Moving on with my day, it's time to eat breakfast. My typical breakfast consists of oatmeal porridge with berries, pureed mango sauce, cardamom and cinnamon. This sided with a gluten free bread with butter, avocado and a boiled egg. After this I enjoy a cup of Pakuri coffee* or Mate tea*. 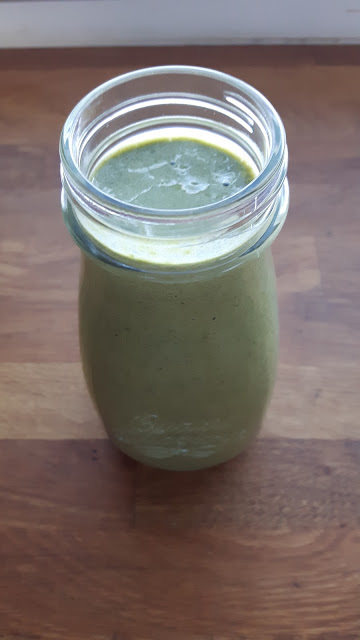 Because I like to shake things up a bit, sometimes instead of porridge I enjoy a green smoothie or some of these smoothies. I would like to hear, how are your mornings? 💗 How to shop healthy on a budget?